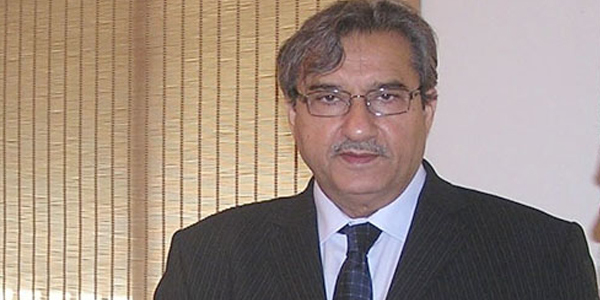 Senior Minister for Education and Literacy Pir Mazhar ul Haq has said that he will not come under pressure in education sector because he believes in merit. He has opened 14 closed schools. To overcome the shortage of the teachers 19 thousand teachers will be recruited in first phase and more 8 thousand teachers will be recruited in second phase. This he said while presiding over a seminar in ‘Role of teacher in enhancement of quality education’ here at a local hotel. He said that every mother wants her child to get education and it is also the duty of government to provide education to every one. Minister education added that media should promote good works of education department., Education department wanted to give due status to the teachers and the respect of 150,000 teachers of the province is his own respect. Pir Mazhar ul Haq said, ‘The purpose of such seminars is to exchange views and to find solutions of the problems, however it is a matter of concerns whenever we get such opportunities we criticize each other.’ He said that for providing better teachers Sindh Education Department had established Sindh Teachers Education Development authority and with the support of coalition partners MQM, ANP and other parties we were able to recruit teachers on merit. He said: ‘Sindh is ahead in reforms in education sector as compared to other provinces.’ While addressing seminars, Sindh Assembly Speaker Nisar Ahmed Khuhro said, the dream of economic progress could not be achieved without progress in education sector.’ He added that Shaheed Mohtarma Benazir Bhutto wanted to see Pakistan as an educated Pakistan and the role of Sindh Assembly was to monitor the functions of sub departments. During last four years Sindh Assembly had shown good performance. Minister for Youth Affairs Faisal Subzwari, Abdul Wahab, Dr. R.A. Shah, Nazir Leghari, Mehmood Sham, Shehnaz Mazhar, Incharge Secretary Education Riaz Memon and others also spoke to the seminar. BQATI delegation discusses security situation with CCPO : Bin Qasim Association of Trade & Industry (BQATI) delegation met Akhtar Hassan Khan Gorchani PSP, Capital City Police Officer (CCPO) Karachi, at Police Head Office recently. Mian Muhammed Ahmed, Patron in-Chief/Founder President BQATI, Mr. Usman Ahmed, President BQATI, Mr. Abdul Rasheed Jan Muhammed, Vice President BQATI and Mr. Muhammed Ali Haider, Member Managing Committee BQATI were present in the meeting. Security issues of Bin Qasim Industrial Zone were discussed in the meeting, BQATI stressed over continuous monitoring of the Bin Qasim area. BQATI pointed out that the organized gangs are operating in Bin Qasim Industrial Zone such gangs are involved in Kidnapping, Ransom, Car snatching and looting, they must be eliminated. It was highlighted that Traffic congestion is also a major problem of the area which increases crime rate in the area. It was also pointed out that the Shirin Jinah Colony have been vacated from Tanker Mafia but they are spreading here, in result crime is increasing, there should be an eye watched by the law & enforcement agencies on their movement.